You definitely right Ness. I did change that. Thank you for the hint, I remember that. This is because you have changed the position of either the top or the bottom. 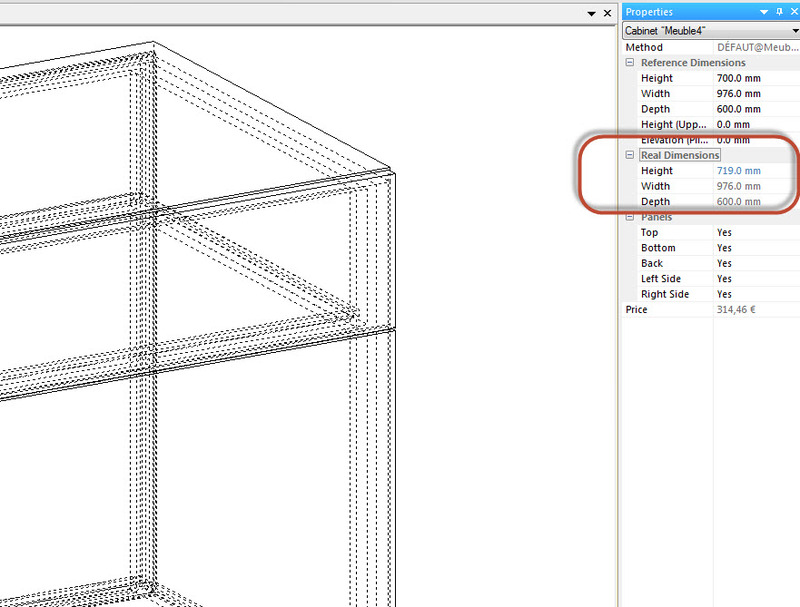 By default, when you select a part it is placed within the total volume of a cabinet. But you can postion it outside the total volume using the position parameter. By default the position is set to “overall”, meaning that the panel in contained within the total cabinet size. If the position is set to “outer” the panel thickness will be added to the total size. In this case when you don’t have a panel selected the Propertises menu will display an extra section called “real dimensions”. This section shows the height of the cabinet + the thickness of the panel. to get back to a cabinet that has all the panels contained within the volume check that all the panels postions are set to “overall”. 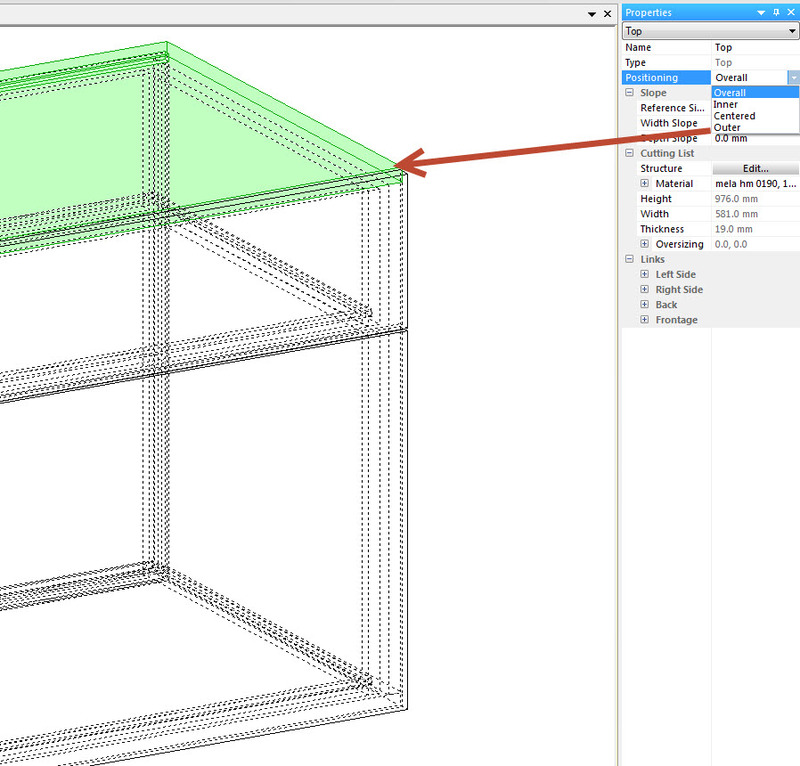 I have one issue with a cabinet, where the ‘Reference dimension’ is 2650 height, but there is a second dimension that shows up called ‘Real dimension’ and shows 2659. Where does this come from? I only want it to be 2650 high.